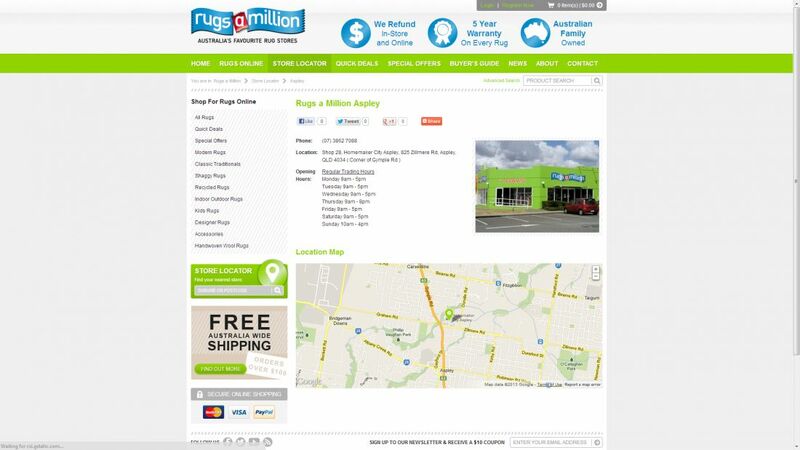 New Business Media - As a national, high profile retailer, Rugs a Million's new website and ecommerce store had to be easy to use and navigate as well as have the 'wow factor' that their customers look for. 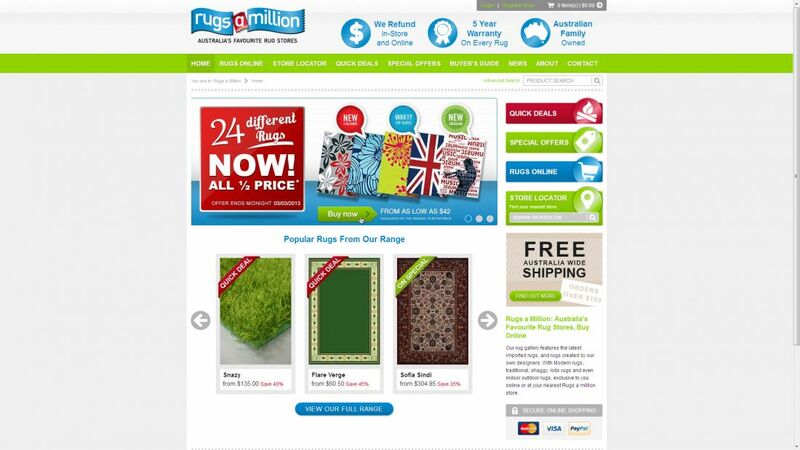 As a national, high profile retailer, Rugs a Million’s new website and ecommerce store had to be easy to use and navigate as well as have the 'wow factor' that their customers look for. 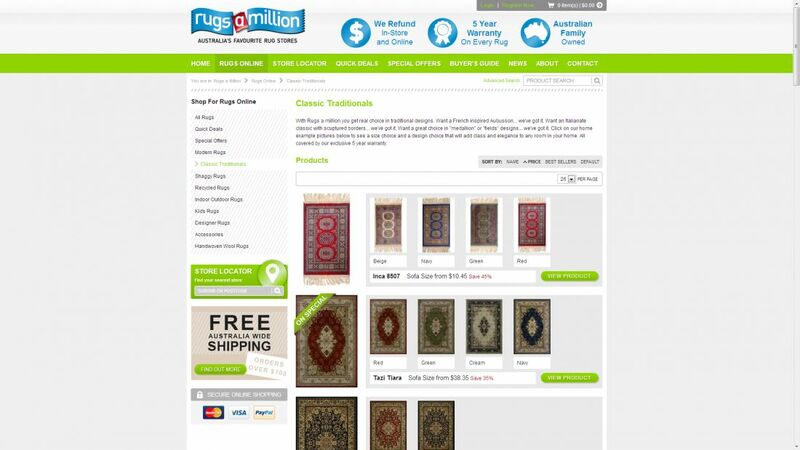 NBM answered the call with this modern design, including a massive online store offering hundreds of rugs for sale online, as well as daily deals, special offers and a specialized search function to ensure customers can find exactly what they are looking for quickly and easily. 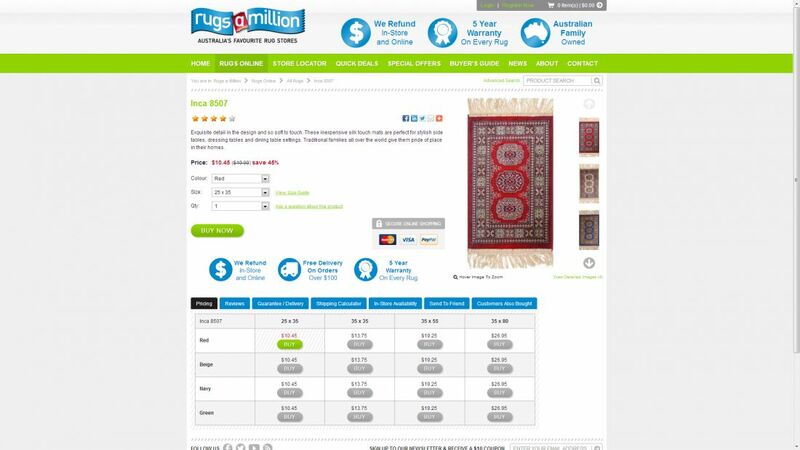 Style variances, e.g. 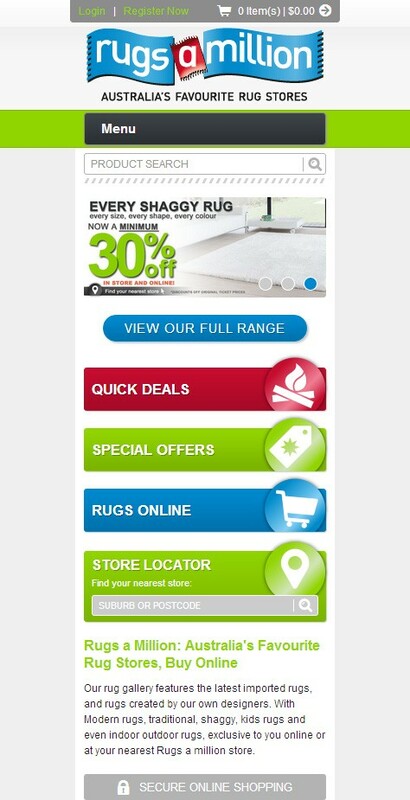 colours, patterns etc.